The Global Volcanism Program has no activity reports for Bald Knoll. The Global Volcanism Program has no Weekly Reports available for Bald Knoll. The Global Volcanism Program has no Bulletin Reports available for Bald Knoll. Bald Knoll is the youngest of a group of basaltic cinder cones on the SW part of the Paunsaugunt Plateau in southern Utah, between the southern end of Bryce Canyon National Park and the western margin of Grand Staircase-Escalante National Monument. The 2135-m-high Bald Knoll has a well-preserved crater and produced a massive youthful-looking lava flow that traveled about 12 km to the SSE. The olivine-basaltic flow fills the floor of Johnson Valley south of Bald Knoll and reaches beyond Ford Pasture into Johnson Canyon. No precise age for the flow is available, but although it was at one point estimated to be several hundred to several thousand years old (Gregory, 1951), Doehling (2008) noted radiometric dates of 0.34 Ma and older on adjacent lava flows and mapped all flows in this area as no younger than late Pleistocene. 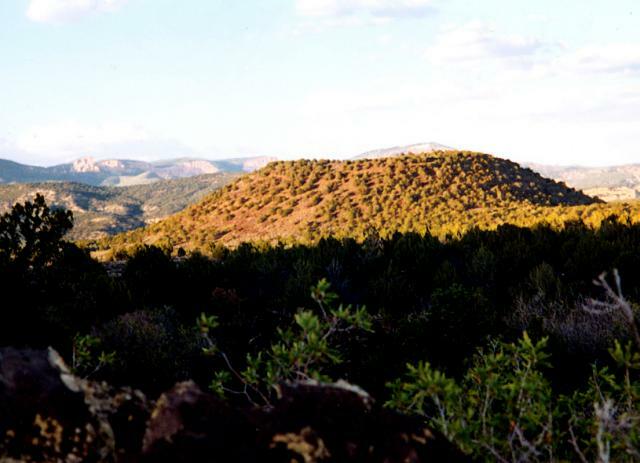 Buck Knoll and Black Knoll (also known as Corral Knoll) are cinder cones to the west that lie on the western side of Kanab Creek and produced lava flows that traveled as far as 22 km down the Kanab valley. Davis G H, Pollock G L, 2003. Geology of Bryce Canyon National Park, Utah. In: Sprinkel D A, Chidsey T C Jr, Anderson P B (eds) Geology of Utah's Parks and Monuments, Utah Geol Assoc Publ, 28: 37-60. Doehling H H, 2008. Geologic map of the Kanab 30'x60' quadrangle, Kane and Washington Counties, Utah and Coconino and Mohave Counties, Arizona. Utah Geol Surv Miscl Pub 08-2DM, 2 plates, GIS data, CD-ROM, scale 1:100,000. Gregory H E, 1951. The geology and geography of the Paunsaugant region, Utah. U S Geol Surv Prof Pap, 226: 1-116. Gregory H E, 1950. Geology and geography of the Zion Park region Utah and Arizona. U S Geol Surv Prof Pap, 220: 1-200. Luedke R G, Smith R L, 1978. Map showing distribution, composition, and age of late Cenozoic volcanic centers in Colorado, Utah, and southwestern Wyoming. U S Geol Surv Misc Invest Ser Map, I-1091-B. The Global Volcanism Program is not aware of any Holocene eruptions from Bald Knoll. If this volcano has had large eruptions (VEI >= 4) prior to 10,000 years ago, information might be found on the Bald Knoll page in the LaMEVE (Large Magnitude Explosive Volcanic Eruptions) database, a part of the Volcano Global Risk Identification and Analysis Project (VOGRIPA). There is no Deformation History data available for Bald Knoll. There is no Emissions History data available for Bald Knoll. The Global Volcanism Program has no photographs available for Bald Knoll. There are no samples for Bald Knoll in the Smithsonian's NMNH Department of Mineral Sciences Rock and Ore collection. Large Eruptions of Bald Knoll Information about large Quaternary eruptions (VEI >= 4) is cataloged in the Large Magnitude Explosive Volcanic Eruptions (LaMEVE) database of the Volcano Global Risk Identification and Analysis Project (VOGRIPA).